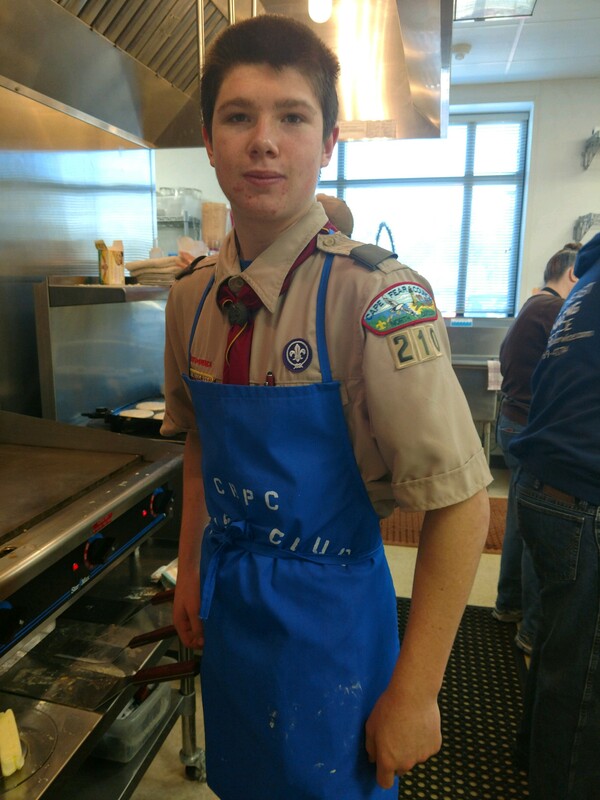 For several months, Ethan Pannkuk, an Eagle Scout Candidate from Troop 210 in Carolina Beach, has been researching and planning his Eagle Scout Service Project to assist in the stabilization of the Fort Caswell Rifle Range. The Eagle Scout Service Project planning and approval process is a long one. There are several levels of approval needed: unit, district and council. 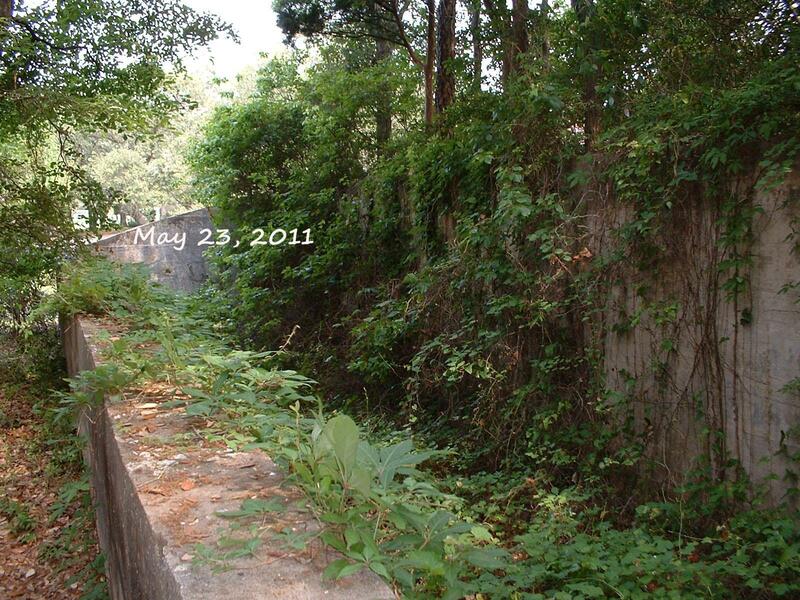 The project must be approved by officials, in this case a structural engineer from Andrew Consulting Engineers, PC; and a member of the State Historic Preservation Office, which has offered guidance and advice to Friends of Fort Caswell Rifle Range for many years. Ethan was required to justify the project; obtain the materials, supplies, and tools; provide transportation; raise funds; and take steps to ensure safety at all times. The planning and approval process with the Boy Scouts of America is complete, and is now scheduled to be performed at the end of March. Thank you to Ethan Pannkuk for choosing the 1918 Fort Caswell Rifle Range for his Eagle Scout Project! Note: To read about the stabilization milestones, go to the Stabilization section or click here. 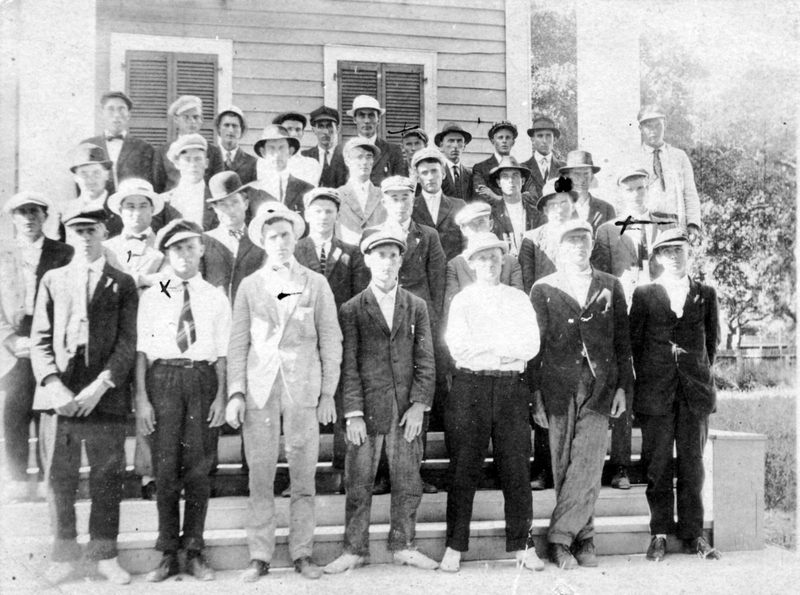 The Brunswick County WWI veteran spreadsheets now have all of the unit names and dates served, including overseas, for those who served in the Army or Marines. 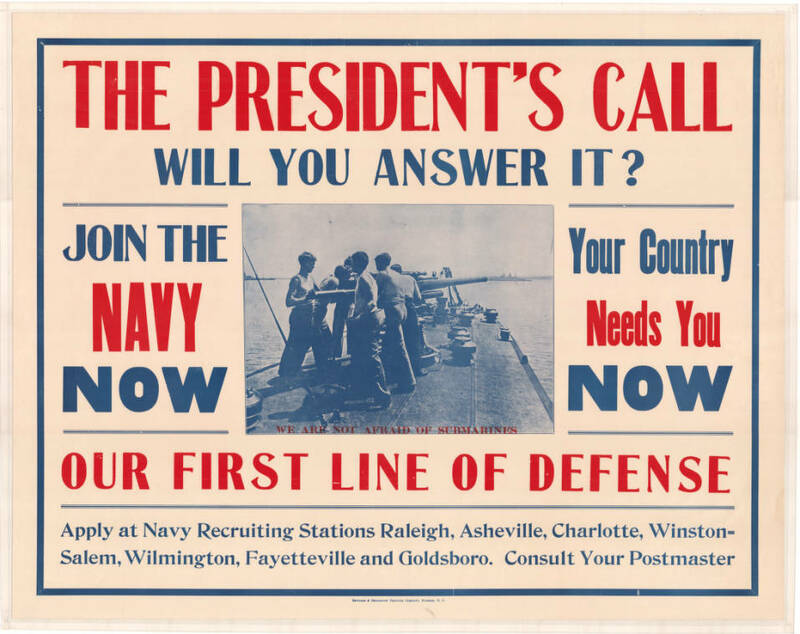 At this time, only some of the Navy and Coast Guard information has been collected. Due to the number of people unfamiliar with spreadsheets, a webpage was created with this information. You can click on the new blue button “Army/Marine Units/Dates” on the right side of almost every webpage, or click here. 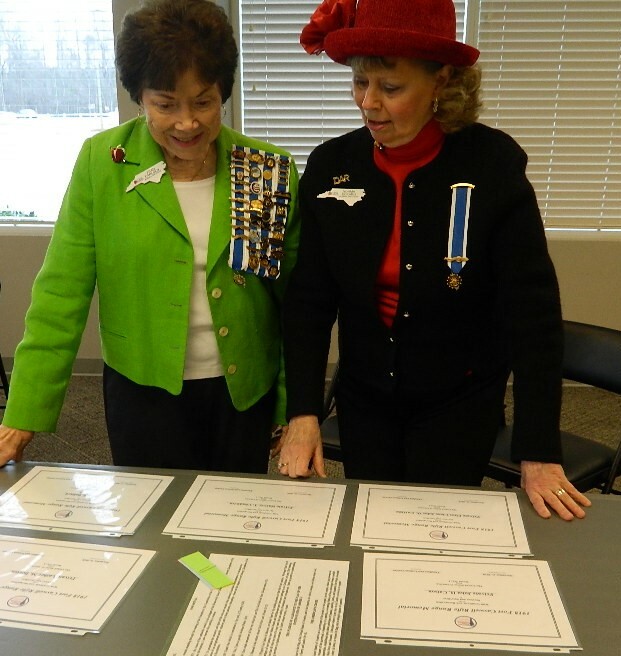 Fellow DAR members Frances Carlsen and Norma Eckard reviewing certificates Fran received for honoring World War I Veterans from Brunswick County, NC. Fran is shown wearing her DAR medals representing her many patriots of the American Revolution. Veteran Frances Carlsen was one of the first to approach Norma Eckard to honor a WWI veteran from Brunswick County. Norma, president of the non profit Friends of Fort Caswell Rifle Range, is leading the project to raise funds for a memorial honoring Brunswick County WWI veterans at the site of the 1918 Fort Caswell Rifle Range in Caswell Beach. “The 1918 Fort Caswell Rifle Range provided the troops with training in marksmanship before leaving for France and that itself is a reason to preserve the historical site,” commented Fran. Fran and her siblings are veterans. 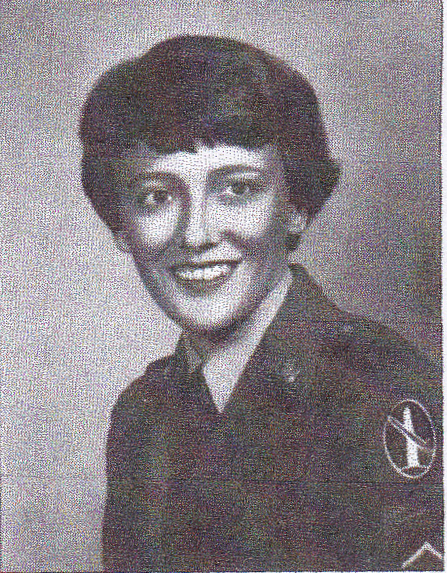 Her sister Virginia Reams served for 21 years, first in the US Army Pentagon Motor Pool and then working for the Department of Defense with large newspapers which earned her a position in New York as an information specialist. 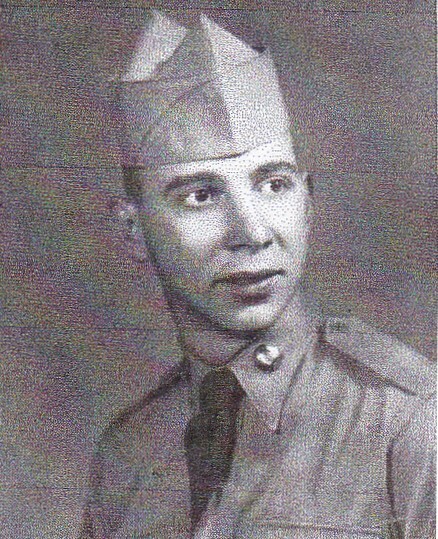 Fran’s brother Ralph joined the Army in 1953 and was assigned to Seoul, Korea, in an Engineer Battalion. Since retirement, Fran continues to serve with her involvement in “Wreaths Across America” and as chair of the local Naturalization Ceremony held at Southport each year around July 4th. Fran and her family are from the small town of Brookfield, Missouri. Interestingly, a close neighbor was General Pershing, the leader of the American Expeditionary Forces in France during World War I. A monument for WWI veterans not only raises awareness of WWI and the Centennial, as well as the 1918 Fort Caswell Rifle Range, but honors all veterans and their sacrifices. Frances Jean Reams joined the Women’s Army Corp (WAC) 27 March 1957 for a three-year enlistment. After basic training and Clerical School at Fort McClellan, AL, she was assigned to Fort Myers, VA, April 1958. She worked in the Pentagon for Deputy Chief of Staff for Personnel and Chief, Research and Development as an Officers records personnel specialist. 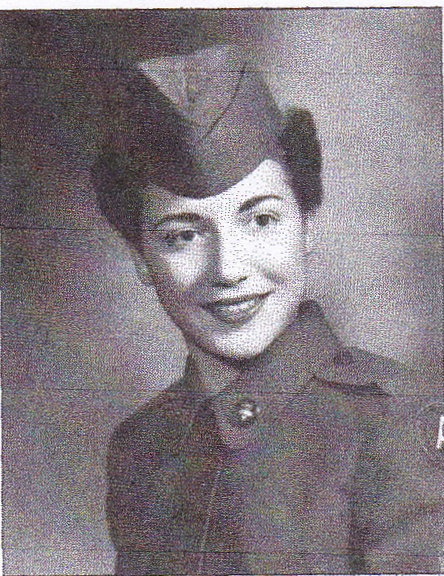 While there her other duties were modeling the officers’ white uniform, color guard at special ceremonies, and playing the part of a civilian in the TV show “Your Serviceman in the Nation’s Capital.” Frances obtained the rank SP5 (E-5). Ralph Lee Reams was inducted into the Army 22 January 1952. He went to Ft Leonard Wood, MO, for basic training and Engineer training. Assigned to Seoul, Korea, July 1953, to the 453d Engineer Battalion, working as the warehouse manager. Was discharged 15 December 1954. Obtained the rank of CPL (E-4). Virginia Reams was born in Brookfield, MO, to Clarence and Daisy (Foltz) Reams. She joined the Army in March of 1951. After basic training at Fort Lee, VA, she was stationed with the US Army Pentagon Motor Pool. During this time she saw many dignitaries including Winston Churchill, General Davis, General Doolittle, and many others. During a second tour in Germany she worked for one of the 10 largest newspapers under the Dept. of Defense. After returning to the states she was trained in New York as an information specialist. After 21 years she retired from Fort Leonard Wood, MO. She received many honors including the Army Commendation Medal twice. After returning to Brookfield, MO, she was involved in researching genealogy and was well known for this throughout the community. 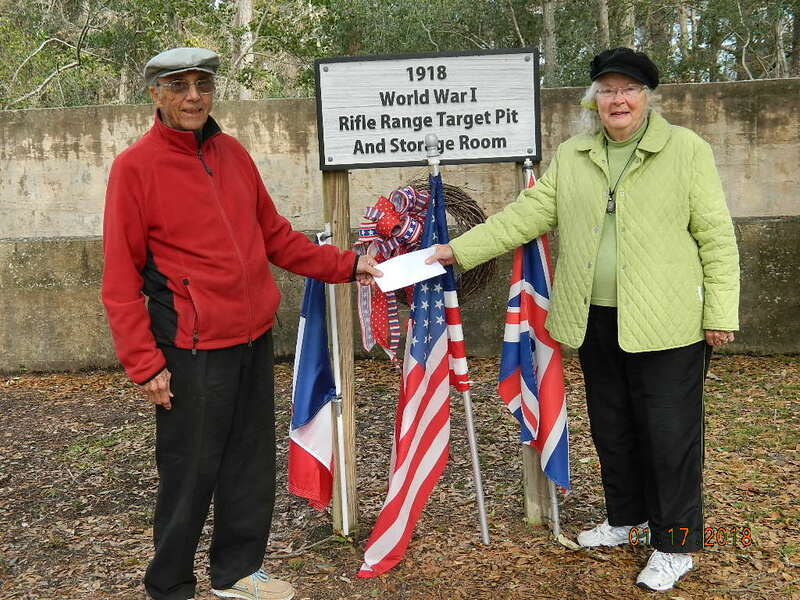 Friends of Fort Caswell Rifle Range received a $1000 contribution for the historic 1918 rifle range project from long time supporters Norman and Lois Sprinthall. “The Centennial of World War I is here and we have a prize in our own backyard as a reminder of the men and women that served and sacrificed in that war.” ~ Norman. Their contribution was in honor of Norman’s father, Sergeant Archie Sprinthall, who served in World War I with the 103rd Field Artillery, 26th Division. 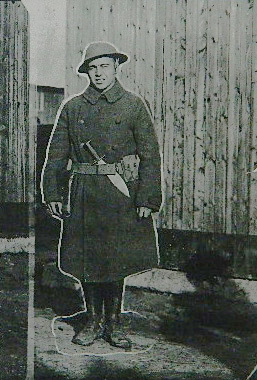 This picture of Sergeant Sprinthall taken near Chateau-Thierry in 1918 shows a large French knife tucked in his belt given to him by the French trainers before he went into battle. Sergeant Sprinthall fought in many of the fiercest battles while in France, including the 2nd Battle of the Marne, the Liberation of Verdun and the Meuse-Argonne. Norman has made two pilgrimages to the battlefields in France to reflect on the meaning and the effect it had on his family as well as others. Norman’s father returned from France, but many of his fellow soldiers did not. Norman visited the Meuse-Argonne American Cemetery and Memorial in France to pay his respects at the gravesites of his father’s fallen comrades from the 26th Division. 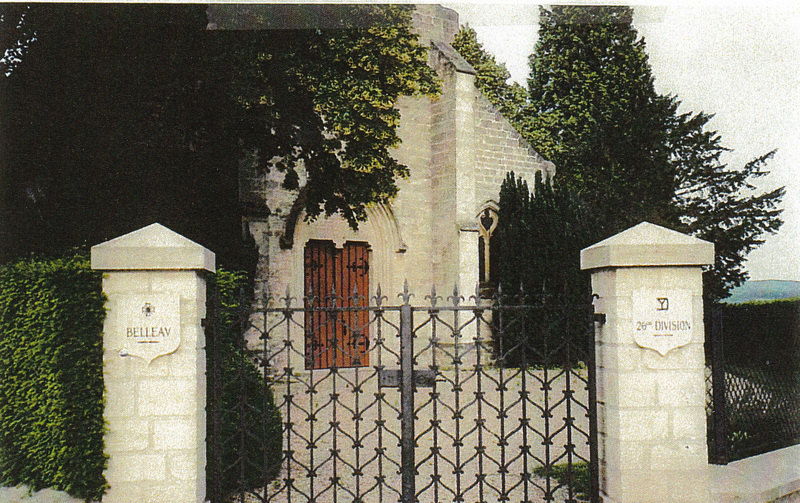 Norman also visited the church in Belleau. The original church was destroyed by American artillery and rebuilt using funds raised by Sgt Sprinthall and other veterans from the 26th Division. 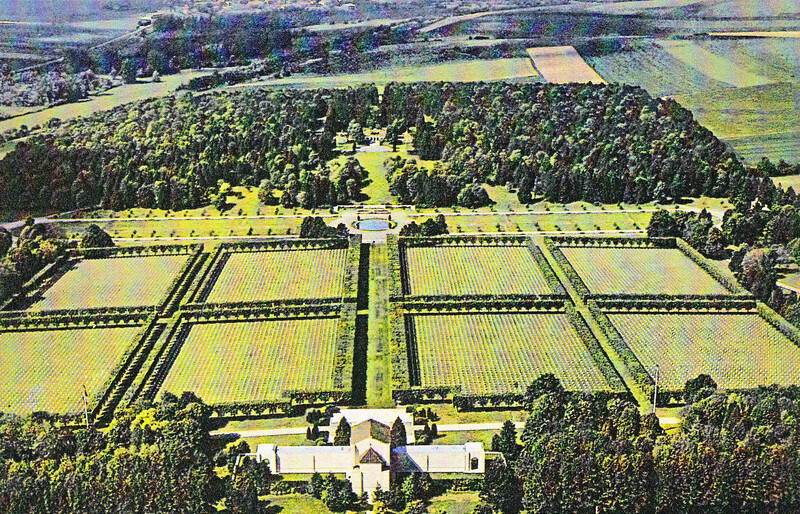 It was completed and dedicated in 1929. This church, destroyed during the world war, has been rebuilt by the veterans of the 26th Division of the American Expeditionary Force in memory of their comrades who fell on the soil of France while fighting for a common cause. Visiting the major battlefields where our military fought was the final homage paid to the men and women of the ‘war to end all wars’ before the Sprinthalls left for home. Norman would like his donation to assist in the complete stabilization of the 1918 Fort Caswell Rifle Range, and is looking forward to the Brunswick County World War I Memorial planned for dedication at the site of the rifle range on Armistice Day, November 11, 2018.